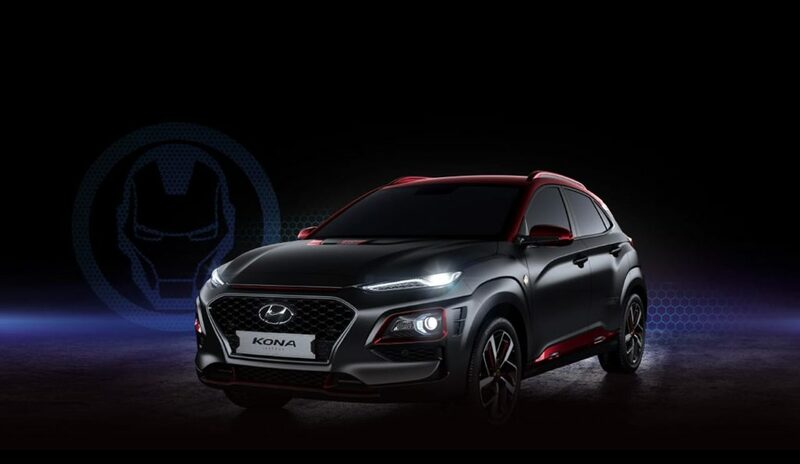 Hyundai has unveiled an Iron Man version of its first-ever subcompact SUV, the Kona. True to form, this ride meets all the mythic and dark proportions Iron Man would be proud of. It’s rocking a dark chrome grille, Iron Man-roof insignia, and tons of emblems throughout, including both front and rear bumpers, smart key, and center caps sitting 18-inch, fan-shaped spoke alloy wheels. However, the Kona will carry somewhat tepid performance specs to boot, clocking in at 147 horsepower and 132-pound-feet of torque. ?Hyundai is excited to work with Marvel on the Kona Iron Man Edition; it really is the perfect mash-up,? said Dean Evans, CMO for Hyundai Motor America. For the limited-edition vehicles to going to production by Q1 2019. No word on how much it will cost or how many will be available. To receive the latest updates regarding availability, visit Kona Ironman Special Edition.